With the drama and fashions of the Downton Abbey characters gracing our screens again, we can’t help but imagine what a Downton Abbey-inspired wedding would be like! Here are some fabulous ways to channel Lady Edith and Lady Mary on your special day. Do you see a destination wedding in your future? 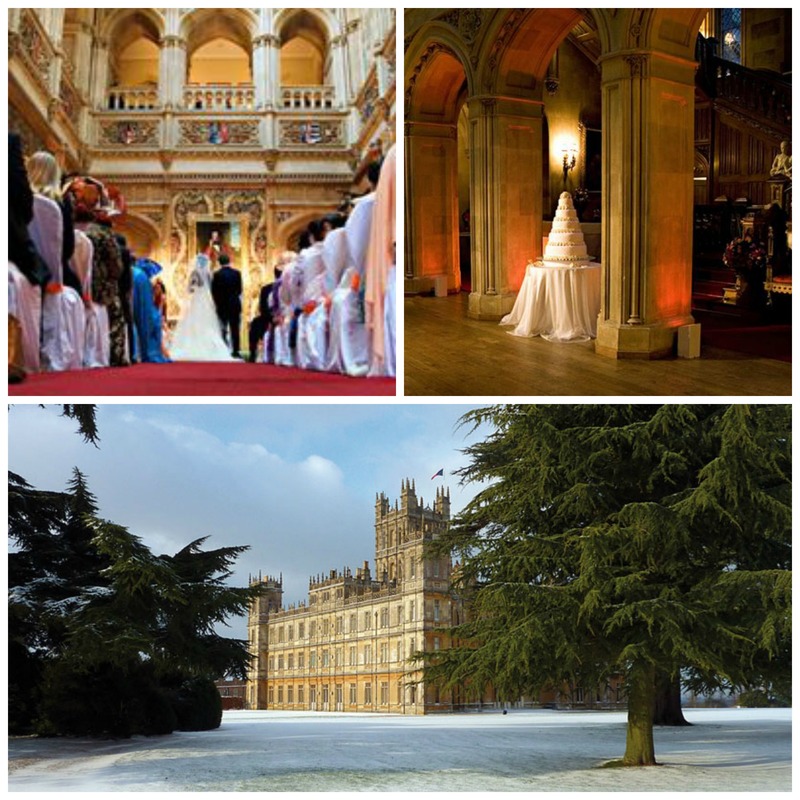 Why not consider having your wedding in Downton Abbey’s Highclere Castle! Highclere Castle lies to the west of London and while it is open for pubic tours, it is also available for private events and weddings. Brides can get dressed in on of the castle’s bedrooms and later dance the night away in the Victorian Library. The castle and surrounding gardens are made available for the exclusive use of your and your guests. While the Highclere Castle requires a Downton Abbey-worthy budget (approximately $25,000-$30,000), Hello Productions would be happy to make the trip overseas to help you plan! If you’re looking for something fabulous for your “something borrowed”, you will probably want to rent Lady Mary Crawley’s dazzling wedding tiara, the exact one she wore on the show. All the elements date back to the 1800s making this hairpiece truly vintage. It’s made up of yellow gold and 45-carats worth of diamonds. The catch? It’s available for $2,000 a day (plus a hefty $200,000 deposit). Being adorned by vintage diamonds? Priceless. We love vintage-inspired wedding dresses right now that capture a sense of romanticism yet are still modern for today’s wedding. These styles continue to gain popularity as more designers include cap sleeves, feathers, and lace details on their dresses. While Lady Mary and Lady Edith had different flower arrangements for their respective weddings, they stayed true to a classic style that mimicked the whites, pinks and greens of the gardens. We think ranunculus, peonies, and pink calla Lilies would do the trick for this spring! A wedding of this magnitude will need a spectacular cake. We love these vintage-styled cakes collected by Cake Geek Magazine in the UK. Stop by their blog to see these and more! Last but not least, we can’t forget the festive bunting that was put everywhere! We love this similar lacy option by BaloolahBunting on Etsy.com.